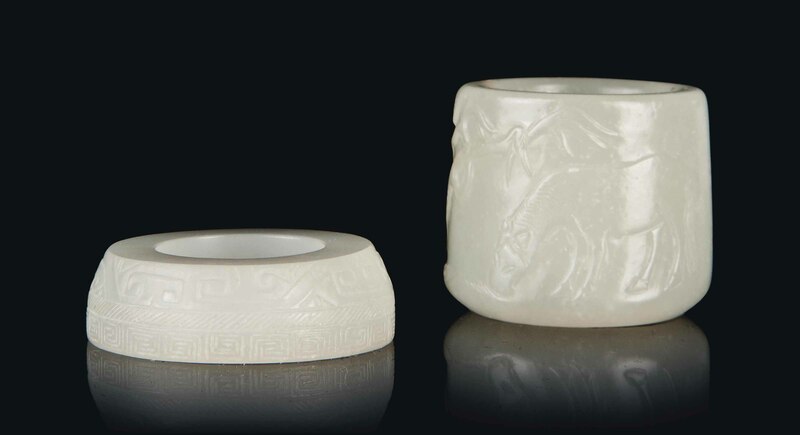 The archer's ring is carved in low relief with a horse beside a tree, with an inscription reading Yigu Kongqun. The jade ring is decorated with a C-scroll beneath a key-fret band. Both stones are of a pale even tone.